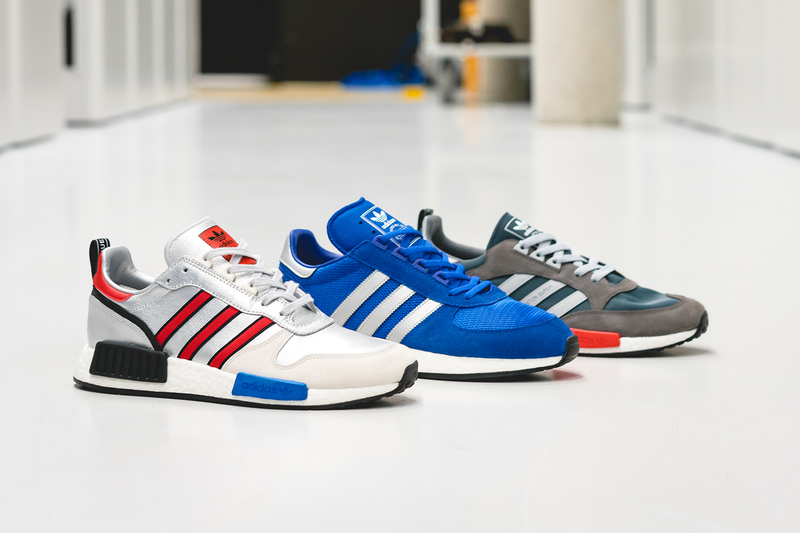 This season, adidas Originals introduce us to their revolutionary footwear collection, the ‘Never Made’ pack. 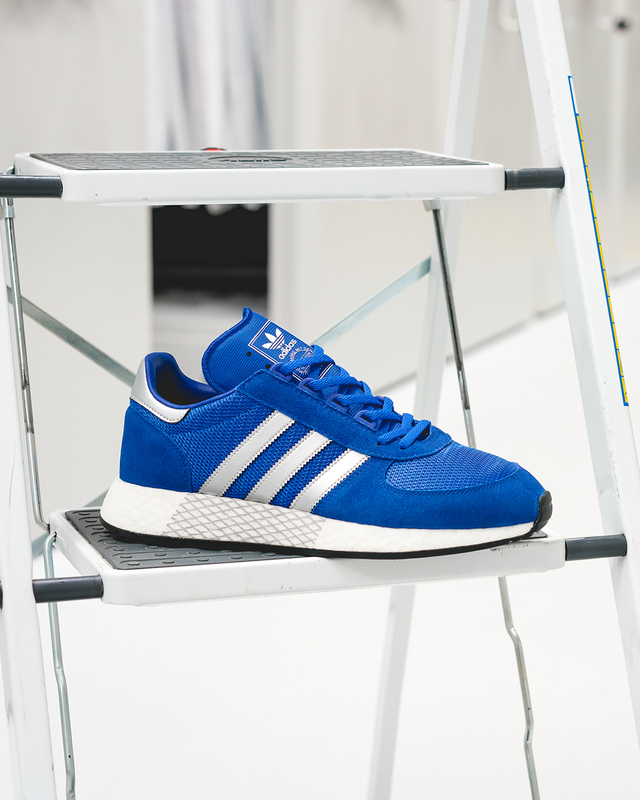 The capsule sees adidas travel back in time for inspiration, as retro silhouettes from their ‘70s, ‘80s and ‘90’s archive are reinvented with modernised soles underfoot. 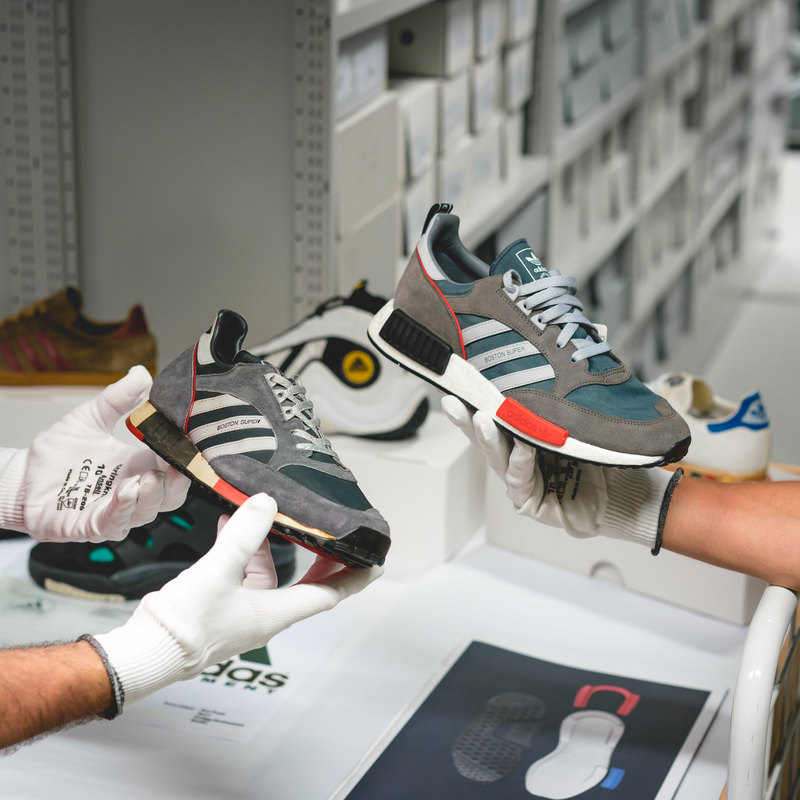 The end results are quite something, with adidas’ designers managing to intersect the past and present to create on-trend, high-performance footwear. Stick around and we’ll give you the lowdown on a selection of the pack’s silhouettes that will be available on size? in the coming week. Here, we have the revamped Boston Super x R1. The 1984 runner, which first hit the streets during the famed Boston Marathon, returns with its timeless design up top. Its mesh and suede uppers are accented with classic three-striping detailing, and “Boston Super” lettering also features to the sidewalls. Below, the Boston’s sole unit is swapped for the innovative toolings of the NMD. Boost technology is now embedded to provide you with supreme cushioning, and midsole plugs are implemented for added support and midsole density. Next up, we have the Rising Star x R1 (Coming Soon!). The 1984 silhouette, originally designed for running on asphalt, became a popular addition to the track thanks to its interchangeable midsole plugs which allowed runners to adjust their cushioning level. Now, the runner returns with its vintage uppers, reviving its shimmering suede and leather makeup which featured on its first release. Underfoot, the sneaker is bolstered with the addition of Boost tech and midsole tags. Last on the bill is the Marathon 5923. The trainer was a trail-running pioneer when it was first released, with its aggressive rubber outsole and Dellinger webbed midsole delivering a futuristic look for its era. The ‘Made Never’ pack reintroduces the pair with original mesh and suede uppers, patterned with its classic Dellinger web detailing to the midsole. Boost technology is once again engineered within the midsole for lightweight cushioning, and the exclusive edition is finished with a traction rubber outsole.